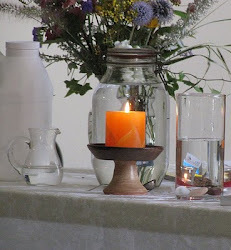 UU A Way Of Life: God Revised, revised available for free. God Revised, revised available for free. God Revised, revised is available both in hard copy and in a PDF for free. If you would like a hard copy, send your address to davidgmarkham@gmail.com. If you would like a PDF file request it in email to the same email address. 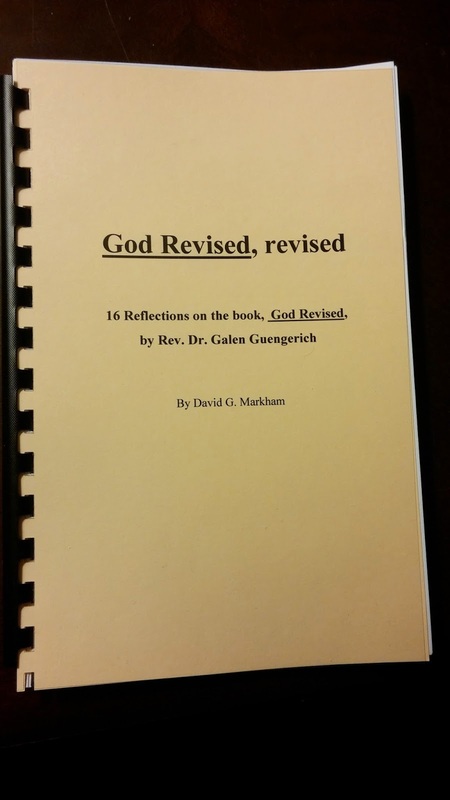 God Revised, revised contains 16 reflections on Rev. Dr. Galen Guengerich's book, God Revised, which was discussed on the UU A Way Of Life online magazine during the month of June, 2014. Introductions and discussion questions have been added to the 16 reflections which can be used for individual study and/or group discussion. God Revised, revised is a critical reading of Rev. Dr. Galen Guengerich’s book God Revised. Many new ideas are added to Rev. Guengerich’s articulation of a new religion based on the ethic of gratitude involving a new understanding of the transcendent having given up on a belief in a supernatural god. Markham’s argument with Guengerich is that gratitude is not enough to be the basis for a new ethic because it doesn’t deal with human suffering. Markham suggests that forgiveness is a better basis for an ethical model than gratitude because until human beings can accept and deal with their brokenness they cannot overcome their fears to find gratitude in their hearts. This is a wonderful little book that really stimulates a lot of thoughts about the function of religion in our contemporary society. Both men provide many ideas for consideration, the depth of which I have not encountered before in Unitarian Universalism. Betsy Griffin, Adjunct professor of humanities and writer. These men certainly take their faith seriously and approach it thoughtfully searching to make sense of their lived experience from the inside out. This little book demonstrates what freethinking is truly about. 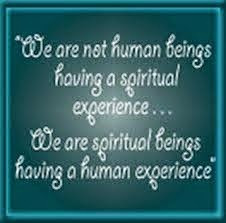 It is a blessing to read and ponder. Ken Appleton, Convert to Unitarian Universalism, and armchair philosopher. Two thumbs up to Markham for taking Guengerich seriously. While there is some disagreement, Markham grapples with Guengerich’s ideas, and it makes the reading stimulating and sometimes intellectually provocative. Anyone who takes their faith seriously in the liberal tradition should read both books. Barb McMullen, Lay minister, mother, member of church board.